This week I began cleaning out my garage to make room for a surprise nerf gun pegboard wall for my boys, which I am unapologetically excited for. As I struggle to keep my secret project under wraps, it dawned on me I needed to share some space saving inspirations. I know most of us struggle in finding a good way to reduce clutter in a stylish way- So check out what I picked below! What a darling vanity! Pic via Instagram @jla_designs. Pegboard-away all your space problems. 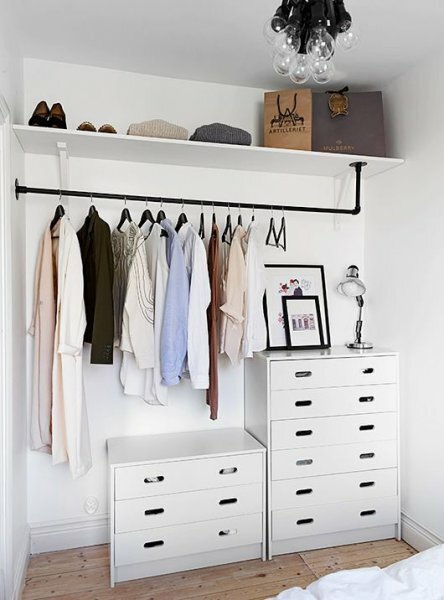 Great use of wall space! Not closet, no problem! Such a cute, industrial look. Pic via trendenser.se.